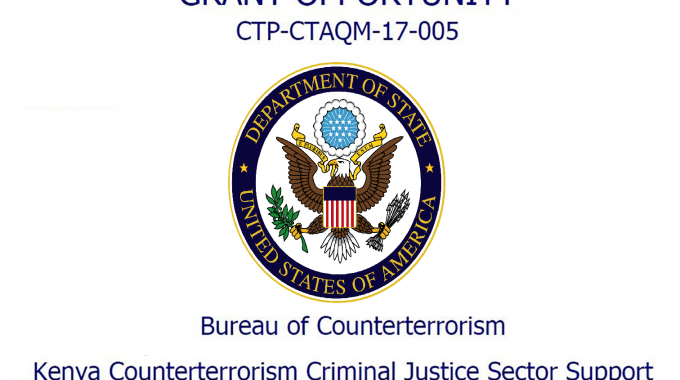 The United States Department of State, Bureau of Counterterrorism and Countering Violent Extremism (CT) is currently seeking applications to support counterterrorism programming in the criminal justice sector in Kenya (Kenya Counterterrorism Criminal Justice Sector Support). The anticipated start date for this activity is September 2017 and CT intends to support six awards as a result of this program. In East Africa, the threat posed by al-Shabaab and other violent extremists in the Horn of Africa continues to evolve. Despite significant blows to its organizational leadership and territorial control in Somalia, al-Shabaab has expanded its regional activities, increasing attack plotting in Kenya and elsewhere. Violent extremist messaging and recruitment continue to find traction among certain communities within Kenya. Allegations of human rights abuses by security forces, lack of access to justice, and the sociopolitical marginalization of minority populations are frequently cited as the primary drivers of violent extremism. CT seeks proposals for a series of projects to enhance the capacity of a wide range of Kenyan criminal justice sector actors to handle terrorism cases. Criminal justice sector reform and strengthening is a key pillar of a comprehensive and sustainable counterterrorism strategy. The Department of State seeks to support criminal justice and rule of law efforts to advance the following overarching counterterrorism objectives in Kenya: improve the capacity of and collaboration between law enforcement and prosecutors to process terrorism-related cases; develop frameworks and mechanisms for alternative sentencing to reflect the severity of the terrorism-related offense and in partnership with the judiciary, corrections, and social services; expand capacity and partnerships of civil society and social service institutions to support newly released terrorism offenders or suspects; and increase access to justice through traditional and nontraditional mechanisms and facilitate more just and trusting relationships between at-risk communities and criminal justice system actors. Have an explicit objective addressing one or more justice-related drivers of terrorism and violent extremism. This explicit objective should be expressed through a program or a specific component of a larger program designed based on an assessment or analysis of the justice-related drivers of terrorism and violent extremism that impact the particular geographic region or population segment. 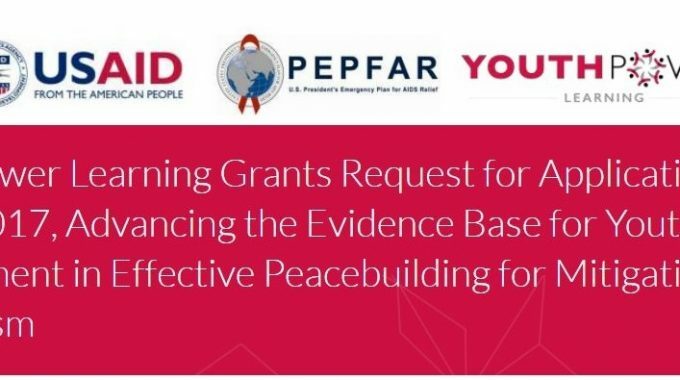 All eligible submissions to apply via Grants.gov by the designated due date and time, and heed all instructions contained in the NOFO and this Proposal Submission Instructions (PSI) as in the linked resources below. Any prospective applicant desiring an explanation or interpretation of this NOFO must request it in writing by the deadline for questions specified in the cover letter to allow a reply to reach all prospective applicants before the submission of their applications. 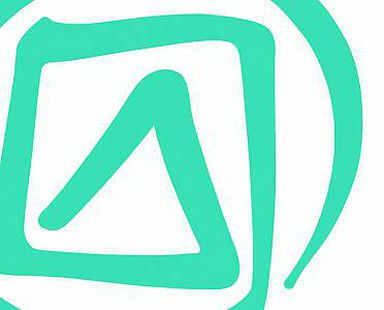 Any information given to a prospective applicant concerning this NOFO will be furnished promptly to all other prospective applicants as a Questions and Answers amendment to this NOFO, if that information is necessary in submitting applications or if the lack of it would be prejudicial to any other prospective applicants. Please be sure to check Grants.gov for any updates or amendments to the NOFO and to see published Questions and Answers regarding the NOFO. Any questions concerning this NOFO must be submitted in writing by email to Meg Lavery in the Bureau of Counterterrorism at laverymm@state.gov, subject: Kenya NOFO Query, and your organization’s name by the deadline for questions indicated at the top of this NOFO’s cover letter.